Creating the changes you need. So very many people who come into counseling report their major problem is – the behavior of someone else. They ask “How can I get —– to change and stop doing —–. Recovery literature frequently takes the view that you really can’t change someone else. If they change it will be because they recognize a problem and decide to change. So if 99% of the problem is their fault and only 1% is yours you need to start by working on your one percent. There are times you can get others to change, but the trick here is that often that change begins with a change in you. There are four primary change options. Which you chose and how effective it will be will depend on the nature of the change you need. You partner driving you nuts by being a slob is quite different from a child who breaks out all the windows in a house. 1. Change by stop letting it bother you. Change your thinking and stop letting it upset you. This is easy to say and sometimes difficult to do. If you began by liking a partner who was spontaneous, a free spirit, but now you are upset because they are irresponsible and a slob, recognize that the problem is in you. The very thing that attracted you to them is the thing that is causing the problem. Anger management techniques, especially that Cognitive Behavioral Therapy technique involving the A-B-C-D-E model can be especially helpful. Mindfulness training, meditation and relaxation training can also help you to reduce your negative feelings so you can go along with what is happening but not get upset. 2. Help them move through the process of change. If the other person has the problem and you are doing all you can to accept them but you decide it is they, not you who need to change, you can still help them change by assisting them in moving through the stages of change. Counselors and professionals are specifically trained in the stages of change model and can help someone move through the process. 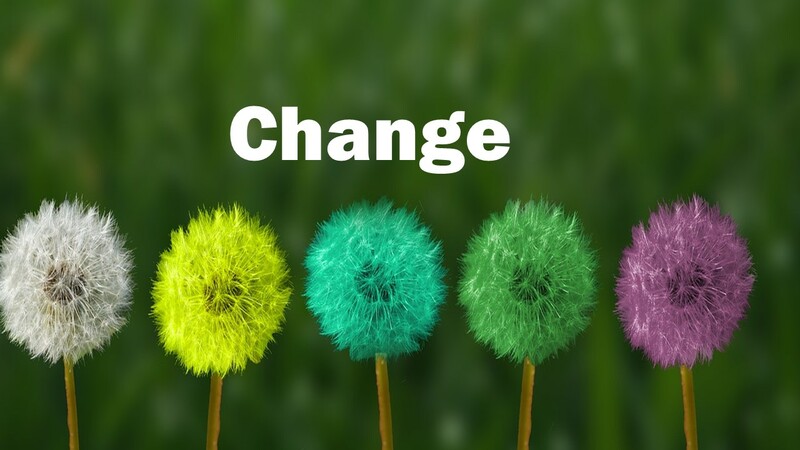 Take a look at the blog posts on Stages of Change. 3. Create change by changing the dance. Couples, families and even workplaces get into a predictable way of doing things. Sometimes this works and sometimes it is dysfunctional. Think of the way this dance happens over and over. Relationships are a lot like a square dance. Everyone moves around the square doing the same things over and over. If one person changes the way they move, starts walking in a different direction the whole square falls apart. In relationships, we get into predictable patterns. A friend calls with a problem; we spend hours on the phone. We drive over to their house and help them out. Then we realize that we are always helping them, they never have the time or resources to help us. Next time they call and describe their problem, rather than telling them you will help, tell them wow that is some problem, I am really looking forward to seeing how you solve that one. Then excuse yourself and hang up. They may escalate the demands for your help by calling again and asking you to do something. Here is where you may need some assertiveness training. But at some point, you may need to tell them that if you keep solving their problems for them they will never learn to solve them on their own. Besides, right now you have problems of your own that need attention. Once you have changed the dance, the other person will keep pushing you to get back in the old pattern. You will need to keep to the new direction. But eventually, they will stop asking for help. They may even stop inviting you to their problem dance. But if you lose this “friend” because you put your needs and those of your family first, well they weren’t that good a friend, to begin with. You deserve better than that. 4. Change others using Influence. Sometimes you need to make others change even when it would be easier and safer to let it go. If your young child falls on the floor and has a tantrum, you teach him to stop. If your teenager is doing that you need serious intervention. You should not have let it get to this point. Parents and teachers change kid’s behavior all the time. We use rewards and appropriate non-physical punishment to produce change all the time. There is a series of posts about how behavioral modification specialists get people to change their behavior. This is not some form of brainwashing or mind control. You get to drive if you take the required steps including taking some tests. If you drive without a license you may get arrested or your car impounded. Society uses rewards and punishments every day. For rules to work we need to keep enforcing these rules. If you want to alter behavior in your child or others in your life consider the more subtle uses of behavior modification described in my Changing Others series. Praise you child or your partner when they do well. Make sure that they don’t have to do something wrong to get your attention. What you attend to you will get more of. Make sure you let those in your life know when they are pleasing you. This entry was posted in Recovery and Resiliency, Relationships and tagged anger management, behavior modification, Changing Others by Influencing, stages of change by David Joel Miller. Bookmark the permalink.